Learn how we can transform your deck! An award-winning full-service landscape design and installation company. We believe that beautiful designs will result in enhanced outdoor living, and increase the value of your home. Hardscaping, landscaping and beautiful garden beds are essential for optimizing your outdoor living space. Customer satisfaction is our number one concern and we work in close collaboration with our clients, with whom we have long-term relationships. 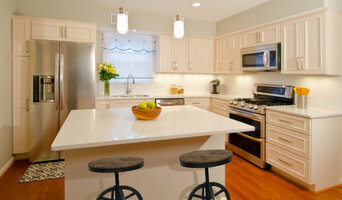 We are serving Washington DC, Silver Spring, Bethesda, Takoma Park in MD and Arlington VA since 2005, we have combined experience in home&commercial maintenance and repair. Our goal is to provide our customers with the most qualified technician to complete the project at an affordable, effective and timely manner, without compromising quality or safety. We guarantee our work for a period (depends of the type of project) with a few exceptions, and we are committed to providing all of our clients with excellent workmanship to ensure satisfaction and repeated service. Handyman Services, safety is priority one. We believe that safety is achieved through planning, proper training and work site awareness. All of our projects are completed using first-rate work practices to ensure a safe working environment. 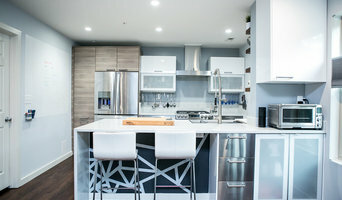 Our Specialties kitchen and Bath Remodeling, Carpentry, Interior and Exteriror Custom Painting, Electrical , Plumbing, Hardwood Flooring, Tile, and Drywall.